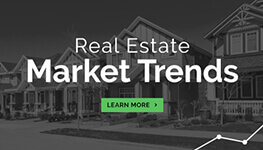 It’s good news to anyone selling a home in the area today – it’s a seller’s market! In a seller’s market, home buyers are looking for homes. 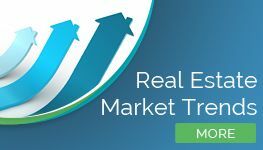 Typically, this can mean increased home sale prices and more competition for properties. That’s not always the case. For those who hope to list and sell their home at the best price point, it’s important to know this market well. Working with a local real estate agent is the first important step. What else should you do to get the most out of this market? Get Your Pricing Right, Right Now! Perhaps the most important way to take advantage of this market is to price your home properly. 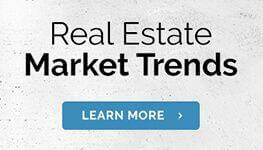 This is a fast-paced market and there is significant demand for homes in San Diego. However, today’s home buyer still expects to pay fair market value. Don’t overprice your home, work closely with your real estate agent to price it at market value instead. 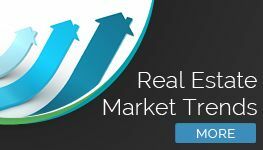 You’ll get more showings and potentially more bids this way, today’s buyers know the market well. They know when a home is priced too high and they simply avoid them. When you work with your real estate agent, you’ll quickly learn that today’s marketing methods and tools are far different from those used a decade ago. Marketing is tech-focused. You may want to consider adding a video tour to your listing, for example. Though photos have long been an important part of the selling process, video takes things to a whole new level. Now, buyers can get a feel for how the home flows. Social media is another important part of marketing a home today. It can provide you with more interaction with home buyers. Often, home buyers handle this on their own. Simple posts such as “Check out the home we just listed for sale” on the right Facebook pages can draw a lot of attention to your home. Use other sites as well such as Instagram and Twitter. Connecting like this is easier to do than you may imagine. Many of today’s home buyers don’t want to invest a lot of work into repairing a home unless they get a very good deal on the property. The presentation of your home makes an important statement. It ensures home buyers can see themselves living there. Home staging is a valuable investment in this situation. Professional staging is best. In some situations, a staged home will sell for 20 percent more and 88 percent faster than those homes that are not staged. This can make staging a very valuable investment for you. It is possible that you will receive more than one offer on your home. That’s a good thing. Nevertheless, you’ll want to have a plan that allows you to respond to multiple bids quickly. Determine what’s most important to you in selling the home (how fast they can close, the price offered, or other factors). Then, work with your real estate agent to ensure all offers understand there are other considerations in place. The goal is to spark a bidding war to drive the home’s value up. Having a plan with your agent to ensure this happens is essential.